Today is known as Stir Up Sunday, a time when people traditionally make their Christmas pudding. Have you been making a Christmas Pudding? 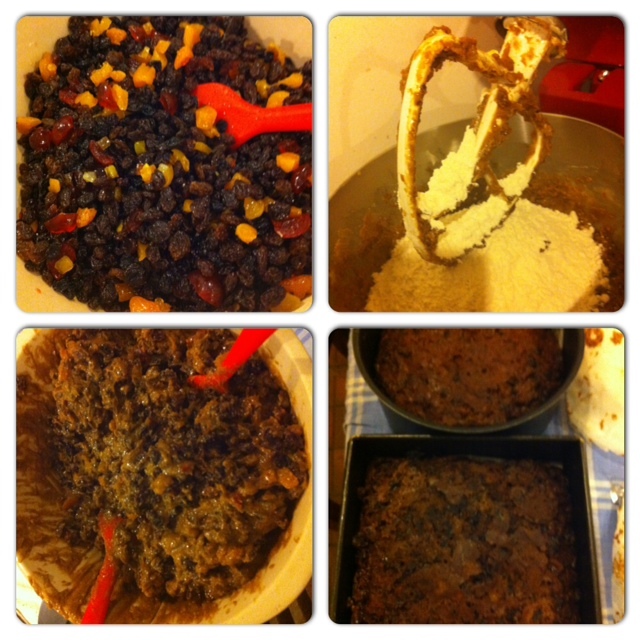 We have been making a Christmas cake. This is part of Jae’s secret plan to offload stuff like this on to El. One day Jae’s hands will turn into claws because of too much typing, so she needs to have a spare pair of hands all trained up and ready. In our house the Christmas cake making is a bit more involved because we make two cakes so that we can give the extra one away. We never know exactly who to give the extra cake to, but somebody who deserves it always pops up. Last year we cut the extra cake into four and gave away 4 mini cakes. Turns out there were a lot of good people around last year. So who will get the extra cake this year? Whoever it is, it’s OK if they have a nut allergy cos we forgot to put the almonds in! 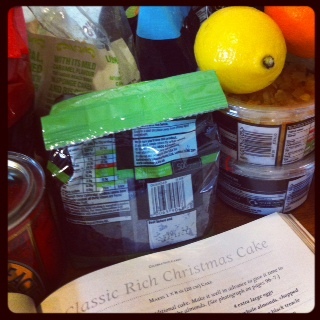 And if you’ve never made a Christmas cake, it’s very very easy – we use Mary Berry’s recipe and it always works. El and Eye don’t really like Christmas cake because it is tastes of fruit and alcohol, (though this is exactly why Jae and Eldad like it). The icing is nice though. November 25, 2012. Tags: cake, Christmas, making. Stuff we love.